As any new parent can attest, it’s natural to wonder what non-family friendly shenanigans your mates might be up to while you’re busy living in your new baby bubble. Sometimes, the FOMO is all too real. But it’s not just you who might occasionally suffer from a fear of missing out – your baby could too, which might explain why she hasn’t slept in what feels like 137 years and brings the house down every time you attempt to lay her in her cot. Is there a party going on that your baby isn’t invited to? That’s how they feel every time you attempt to put him down for a nap. Sounds from siblings, pets or noisy neighbours can make it easy for your master sleep resistor to refrain from succumbing to shut-eye. However, if your little one’s no-nap policy is wearing a little thin, consider investing in a white noise machine (My Baby SoundSpa is a favourite), or download an app, such as the White Noise app by TM Soft. A soothing soundtrack that masks any interruptions might be just what your baby needs in order to nod off. 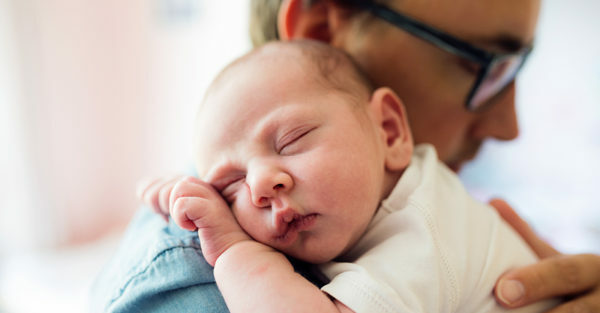 If your little one still won’t sleep, it’s time to bring out the big guns – even the fussiest of FOMO babies can’t resist being lulled to sleep by motion, so a walk around the block or a trip in the car might just do the trick. As most parents already know, sleep is a skill that our little ones need to learn. Help them on their way by introducing a relaxing, nighttime routine that creates the right environment; turn off the TV (the lights and sound can easily overstimulate your little one), dim the lights and run a warm bath. Offer your baby the same comforter, stuffed toy or blanket so that they start to associate this with sleep time. Crucially, your baby needs to be fully awake when laid in their cot or bassinet in order to learn how to self-settle. You know the drill – your baby has latched on to the breast or bottle … but then pulls away to have a good look around the room. Then latches on again, only to pull away again moments later. Argh! 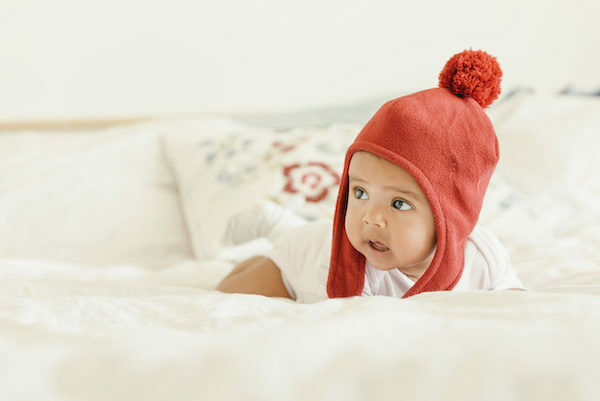 While it might seem like your FOMO baby is scared of missing out on something, it could be that your little one is being overstimulated by sounds, sights or even smells in their surroundings. If possible, try to feed your baby in a place with minimal distractions. Alternatively, an oversupply or fast flow of milk might mean that your breastfed baby needs to keep coming up for air. For further support and advice on this, visit the Australian Breastfeeding Association. All of your baby’s needs have been met. She’s been fed, burped, changed and is well-rested but still makes a tearful protest every time you attempt to put her down. Are you trying to sneak off to somewhere fun without her? While sitting and drinking in the delicious smell of a new baby is wonderful, sometimes you also need to, you know, function. If you haven’t already, it might be time to invest in a comfortable sling or baby carrier – babywearing means you’ll be free to potter around but will also offer your baby reassurance that you’re close through your smell and the sound of your heartbeat and voice. Need further incentive? Studies show that babywearing also plays a part in tackling postnatal depression. The World Health Organisation (WHO) recommends exclusively breastfeeding your little one for the first six months of their life, but your baby may show signs of being ready for solids before then. Making chewing motions and reaching for your dish during meal times is a pretty decisive indication that they’re ready for food, there’s even evidence to suggest that introducing certain foods at four months can reduce the risk of food allergies and the symptoms of reflux. Other signs your baby could be ready include holding their head well and sitting unsupported. However, as with everything else, do your research and make the right choice for you and your baby. It doesn’t matter if you’re heading to work, the shops or even just the loo – babies suffering from separation anxiety can become inconsolable every time they see you walk away. Other signs include a reluctance to play by themselves, waking more often throughout the night and yelling out for your attention extra early in the morning. Understandably, this stage can feel quite stressful for both of you. However, take comfort in the knowledge that separation anxiety is a completely normal and crucial developmental milestone that occurs when your little one is around 6-18 months old and is all part of them coming to the realisation that they exist independently of you.